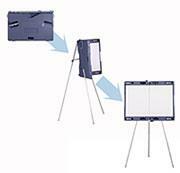 For teachers and professionals on the go, a Portable Presentation Whiteboard! 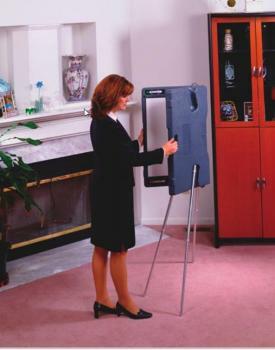 This briefcase opens in to a display whiteboard, with pull out, telescoping easel legs. The presentation whiteboard stores easy, and is great to take on the go! In a snap, it transforms from a briefcase into a full-size presentation whiteboard. 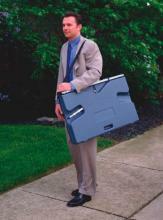 It even includes built in accessory holders and a carrying strap. 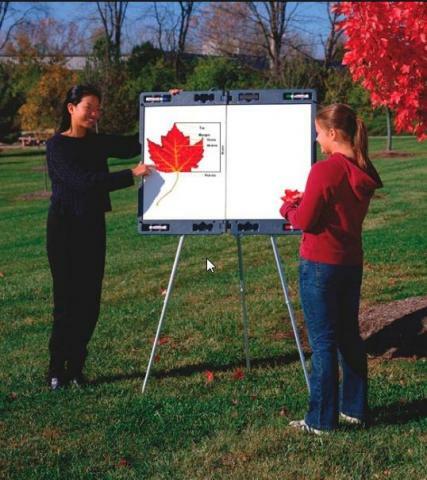 You will love the convenience of this portable presentation whiteboard!